James Wan has left the helm of the Insidious franchise to drop cars out of planes in Fast & Furious 7, but the popular horror saga should be in capable hands with series scribe Leigh Whannel taking over directing duties on Insidious: Chapter 3. We're in prequel territory with this third installment, following psychic Elsie (Lin Shaye) as she encounters ghost dimension The Further the first time while trying to save the life of a young girl from a dangerous supernatural entity. After a very good first installment, the second Insidious stumbled somewhat, mainly down to the fact it seemed so concerned with mythology and world building that the scares were secondary. Hopefully the balance can be found this time round as there are some extremely solid scares and creepy moments promised here that should keep fans of the franchise happy. 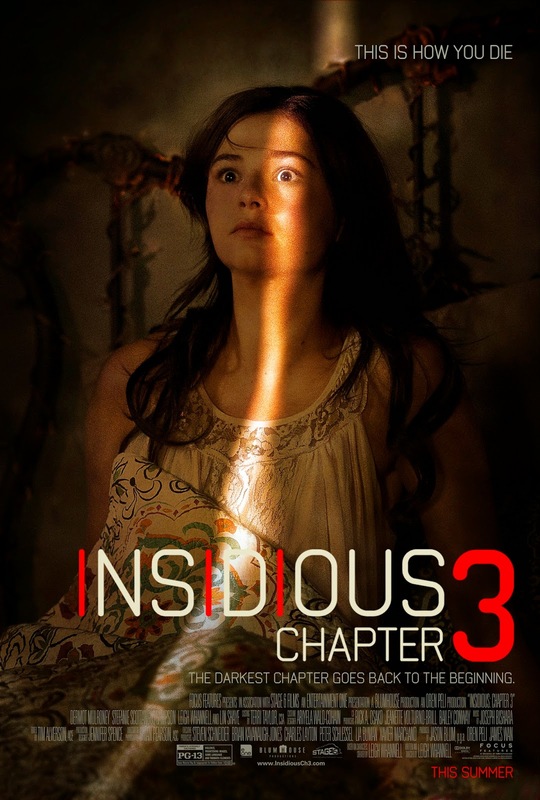 Insidious: Chapter 3 comes our way on June 5th.